Using observational data obtained from a sample of 303 protection order hearings in a large Southwestern city, the current study explores the impact of formal (i.e., presiding Hearing Master, legal counsel, courtroom-employed translator) and informal actors (i.e., victim advocate, family members, friends) on civil protection order (CPO) decisions. Several multivariate analyses were conducted to assess the net and context-specific effects of these legal and informal actors on the likelihood of receiving an order of protection and its length of time. 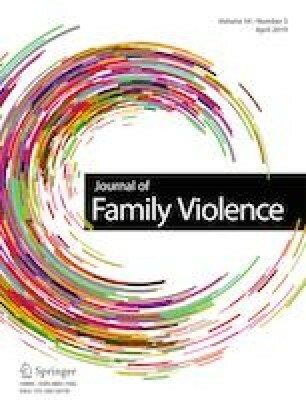 When examining the effectiveness of courtroom actors in assisting domestic violence (DV)/ intimate partner violence (IPV) victims with their CPO cases, this study finds that whether or not a victim successfully obtains a protection order, and for how long, depends on a range of case attributes as well as who is actually present in the courtroom with the victim. As these findings suggest, gatekeepers matter depending on a range of case attributes. States should allocate additional resources and funding to non-profit agencies to continue to promote affordable/free legal services through legal aid and other similar legal entities as well as offer continued support for victim advocacy and self-help centers. Agnew-Brune, C., Moracco, K. E. B., Person, C. J., & Bowling, J. M. (2015). Domestic violence protective orders: A qualitative examination of judges’ decision-making processes. Journal of Interpersonal Violence. https://doi.org/10.1177/0886260515590126. Richards, T. N., Tudor, A., & Gover, A. R. (2017). An Updated Assessment of Personal Protective Order Statutes in the United States: Have Statutes Become More Progressive in the Past Decade? Violence Against Women. https://doi.org/10.1177/1077801217722237.